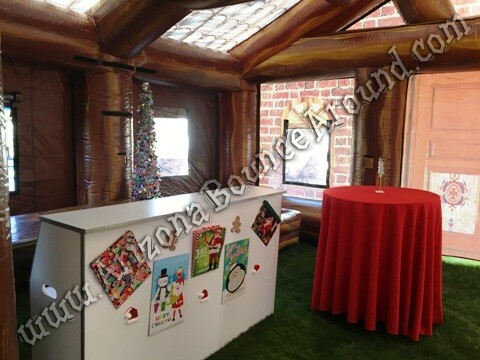 Our Inflatable Log Cabin or Winter Wonderland is 33 feet wide and 29 feet deep and has a completly open inside without support poles for a complete clear span inside. 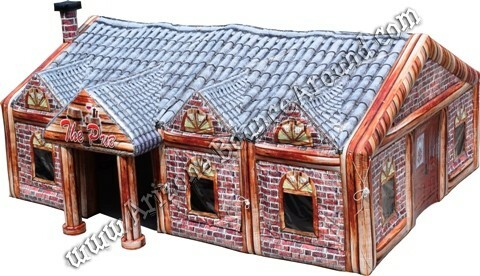 It features really nice artwork printed inside and out including a inflatable fire place that looks real, windows that open and more. 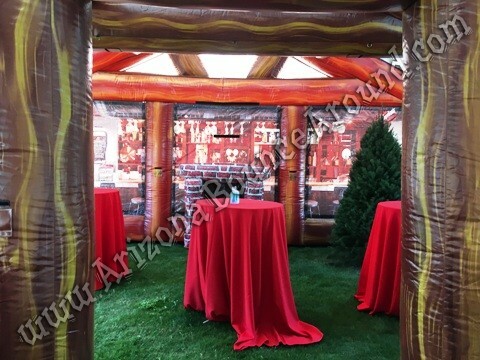 This is a much better way to have a Christmas or Holiday party at events than a white tent and we have a ton of options such as snow blowing machines, red carpet and stanchions, LED dance floors, portable bars, stages for the band, sound systems and dance lights to name a few. 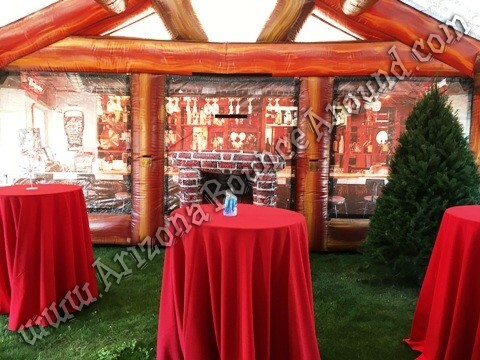 We even offer bistro lights that can be put inside or out or cocktail tables and fencing to create an outdoor patio. 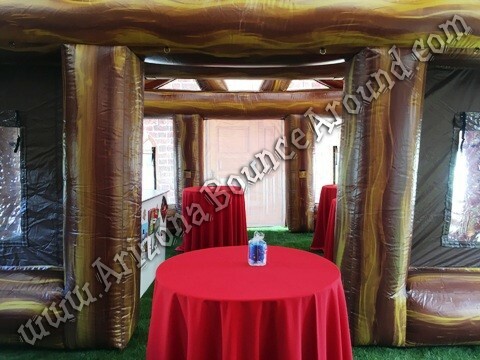 Turn our Inflatable Log cabin into a night club for home parties or inside the ball room for a twist on the normal venue setting.